Most of us are getting bored of the same old breakfast, so I decided to spice things up and go a different route. Being on a keto diet for a long time will definitely lead you to experimentation in the kitchen, and this one is something that works. 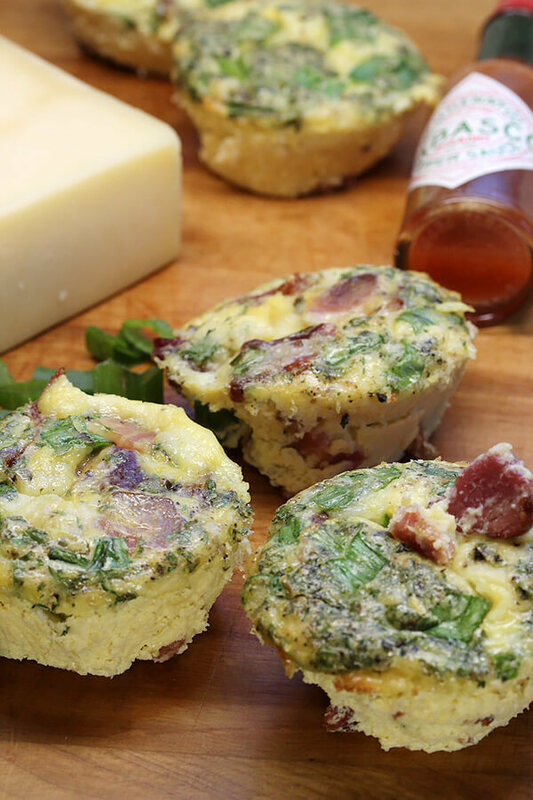 Frittata’s are a great way to get those fluffy eggs you want, while packing in tons of protein and fat from meats and cheese. Add some vegetables in there and you’re golden. If you’re on a low carb diet, I really suggest you try this bacon and cheese frittata recipe out and let me know what you thought of it. You should have most of these ingredients laying around the house, so just grab a muffin tray and let’s get this thing started! This recipe and the photos are courtesy of Mother on a Mission. Optional: sauteed spinach, minced broccoli, or spring onion. 1. 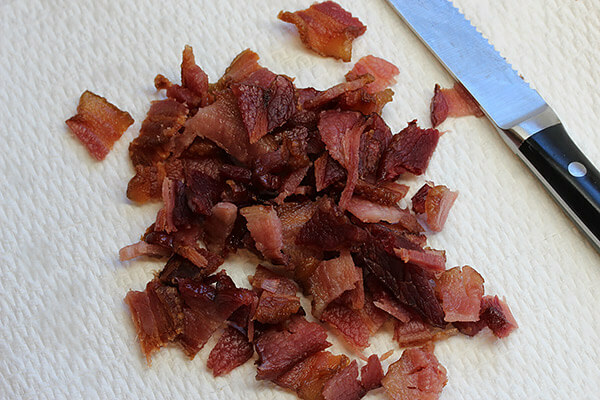 Preheat oven to 375 F. Make sure your bacon is already cooked and chopped! 2. 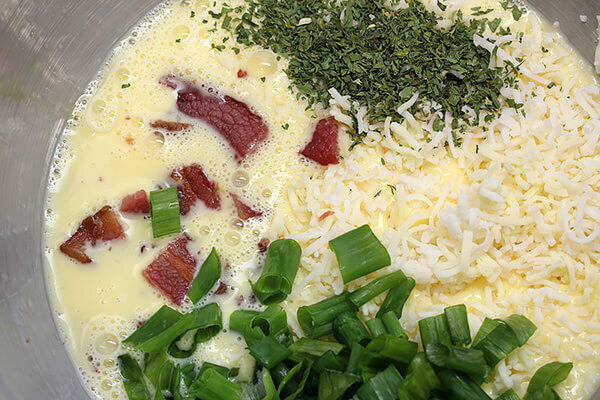 In a large bowl, mix the eggs and half n’ half. 3. 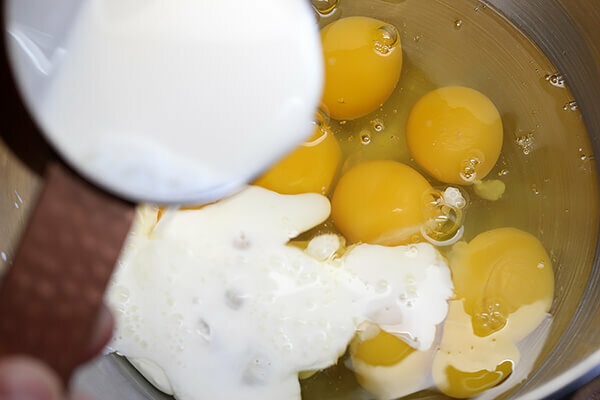 Mix well until eggs are almost scrambled. 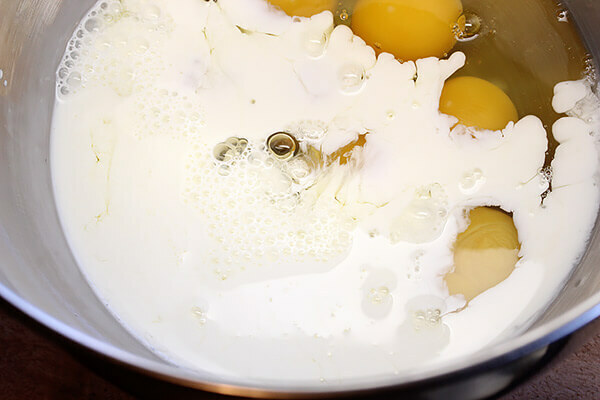 You still want to have streaks of egg whites. 4. Fold in the bacon, cheese, dried parsley, pepper and salt. 5. 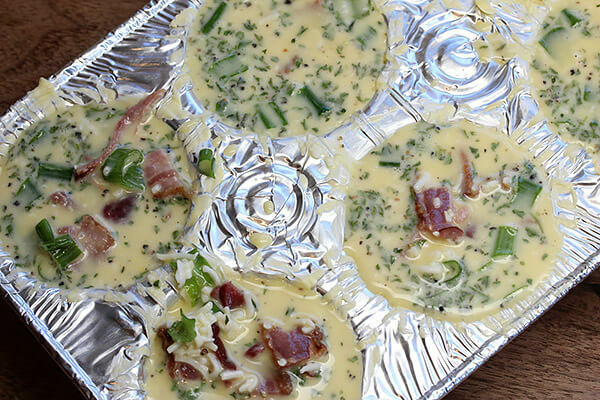 Grease the muffin tin with the butter, this recipe makes about 8 frittatas. 6. Pour in the mixture, filling each “cup” about 3/4 of the way. 7. Stick them in the oven for about 15-18 minutes, or until they are puffy and turning a little bit golden on the edges. 8. Remove from the oven and let cool for 1 minute. 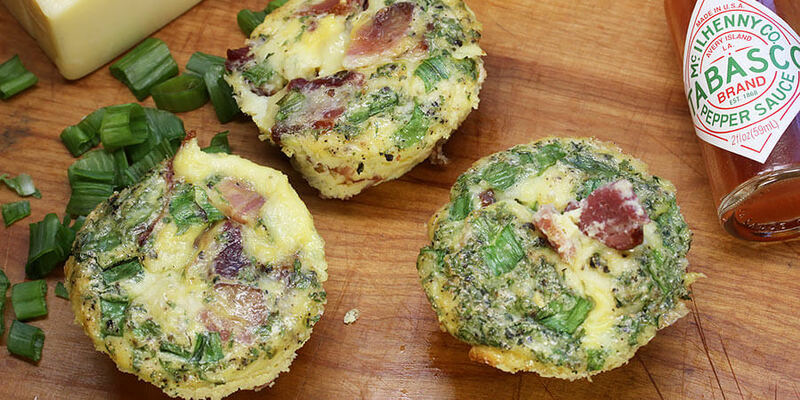 Remove frittatas from the muffin tray, and eat up! If you like making things in bulk then this is the breakfast for you. They freeze very well, just toss them in the freezer (seperated) for 2 hours. You can then put them all together in a ziploc bag. If you need to reheat, put them in the oven at 375 F and warm them through. If you have any other ideas on how to make this better or if you have your own spin you’d like to share – please feel free! Obviously the bacon is high in calories, so if you need to cut down your macros then cut from the bacon first. I made 8 frittatas, so each one comes out to be 248.63 Calories, 19.33g Fat, 1.66g Net Carb, and 16.03g protein. Grease a muffin tin with butter. This recipe makes about 8 frittata muffins. Pour the mixture, filling each cup about ¾ way. Stick them in the oven for 15-18 minutes, or until puffy and golden on the edges. Remove from the oven and let cool for 1 minute. Remove and eat! These freeze well and can be heated individually.